It was such a nice place to stay! It's clean, beautiful,.. It's everything you need for the perfect vacation! I loved how welcoming everybody was. They help you so much, I will definitely go back when I have the chance. It's one big family and that's because eszter is working so hard. She is the best manager hostel malti could have. I would recommend this place to everyone. Thank you so much! Eszter, if you read this you're the best! Stayed here in the peak season, august 2018. 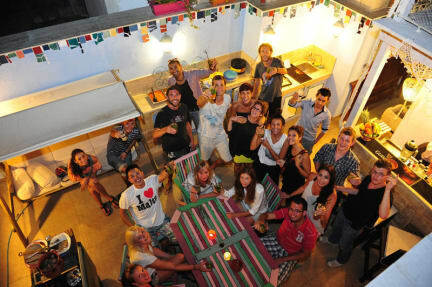 This hostel is the place to be if you like the real backpackers-vibe. This is where you'll find your travel buddies who are up for exploring the island or go down for a few drinks. On top of that the staff (gotta mention Darren here, who helpen me out a couple of times) is very helpfull and friendly. 5 stars from me bruv! We enjoyed our stay a lot. The place was cleaned every day and the vending machine provided nice cold beer. Darren and Esther were very kind and helpful. Especially Darrens tips what to do on the island were all just great and really improved our experience here! Would definitely stay here again. The stay in Hostel Malti was perfect! The owner Chris is really helpfull, always happy to help and explain whenever he can. He made us feel like home in the week we stayed here. The hostel is clean and pleasant to stay in. The location is fine, close to the buses and centre, but just far enough so you can enjoy a quit evening if you want. 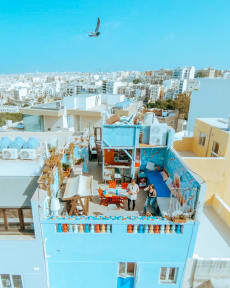 I would recommend this hostel for sure if you stay in Malta! Spent 5 days in Hostel Malti and had the best time! Jamie - the local manager - and his staff made sure we were comfortable right from second one. The hostel was clean and tidy, as well as the bathroom. The atmosphere was great and the location of the hostel was ideal - in a quiet neighbourhood, but just a walking distance from Paceville. Jamie told us the places to visit on the day and showed us the nightlife of Paceville. I would definitely recommend this hostel! Great stay, mostly thanks to the amazing staff! Darren was always, nothing seemed too much to ask. Also nice that hotel Malti collaborates with hostel Marco Polo for bbqs and pub crawls. Thanks all! Great hostel overall. You meet nice of fun people, staff are friendly, owner has a nice dog who comes say hello if you have something to eat, the rooftop is f*** amazing. Absolutely recommended ! The place was really nice and new, rooftop perfect. One bad thing was we rented towels for 2 euro and they were old with stains. Probably from old backpackers. If you rent out towels make sure you give proper ones. Keep up the good work!